Now before you guys close this tab because I made another pekka deck, read the guide. I made a hybrid bait control deck (weird, right?). With golem, giant, and princes being in the meta so much, and bait being so strong, I decided to make a hybrid bait deck that also counters the meta (including elite barbs because that is what almost everyone is using). Pekka: The pekka will act as your main defense and blocker. She should be reserved against huge pushes or against hogs. Dark Prince: He will act as zap bait since no one wants a whole dp dash onto their tower. Miner: He will do all the tanking and works well for killing glass cannons or aoe attackers. Bats: High DPS, they get zapped easily leaving room for your goblin gang or dp. Also if your opponent has log they get screwed. Skeleton Barrel: This card can punish your opponent if they make a mistake. When it dies it drops slowly making your opponent zap or log to early giving you 8 skeletons on the tower. Goblin Gang: This is zap bait but also can punish if your opponent logs your dp to reset it. You can go miner goblin gang opposite lane. Zap: Self explanatory, although it is your only spell so use it wisely. I prefer to save it for goblin barrels, resetting inferno dragons so my pekka can get a hit on the tower, or destroying skeleton armies that would originally wreck my push. Also pairs well with the skeleton barrel death damage and princess. Princess: Your air aoe. Princess also is another bait element baiting out their heavy spell or their log. If they poison this and log your goblin gang you still have dark prince, skeleton barrel, and bats for a nasty punish. Counters a lot of meta cards. Every card can be used offensively and defensively. The commons are level dependent. Very, very high skill cap. Miner= Can’t change it without making the deck completely different but ram would work. Princess= Again you shouldn’t change these cards since they are very specific to the deck but dart goblin, and magic archer are viable subs. You will be playing very passively. I never really push in the beginning unless my opponent over commits. I like to start with skeleton barrel in the back. The skeleton barrel as a starting play is probably the best start. Playing the miner in the non tornadoable position also works but you won’t have the miner to hit pumps. You don’t have a big spell so against pump decks (especially three musketeers) save your miner and prioritize killing the pump. Splitting a goblin gang behind the king tower works well (same with bats). Last you can always play a dp behind the king tower to find out how your opponent reacts. Since princess is your only air aoe troop, save that for responding to the opponent. Figure out what their deck is and only punish when you have a huge elixir advantage. Like if your opponent (and this actually happens) drops a minion horde and a skarmy at the bridge, you can just princess or zap. I played princess and after it killed the hordes my opponent LOGGED IT!! I then went with a skeleton barrel, miner, and dark prince killing his tower. So after that we were basically even in elixir but I had a 1-0 lead in the first 30 sec. You will be making a lot of mini pushes here. I always play a lot of skeleton barrels, then miners, (skeleton barrel to tank and miner to tank when it dies) after I defend. Lone skeleton barrels are a good play because it forces a response from your opponent. Most of the time I will take a tower with a predictive play. This deck works best if you play your opponent and they drop right into you. For example if I have a dp with goblin gang and bats, and I know my opponent has princess, I will miner where I think the princess will be. Most of the time I end up killing the tower with one push. The pekka should always be saved for defense since your bait cards can be killed by spells and aoe troops. 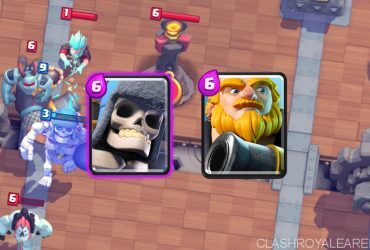 The skeleton barrel and miner combo will take a lot of towers along with the dp getting a charge shot on the tower. I try to predict a lot, but not to much that I overcommit and lose. Golem: This is one of the easier matchups. You have the pekka and a bunch of bait cards. Once they pump up you should play a bait card at the bridge with a miner on the pump. Stagger the timing so that the towers focus the miner and the bait card gets more damage or forces a spell. If the pump is in the middle I would play a goblin gang or skeleton barrel in the middle to tank against the two towers while the miner kills the pump. 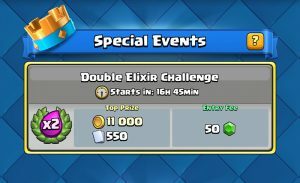 Try to get huge damage early on since a good golem player will not relent in double elixir. When they play their golem you should wait until you are at 10 elixir then you should play a pekka in the back. 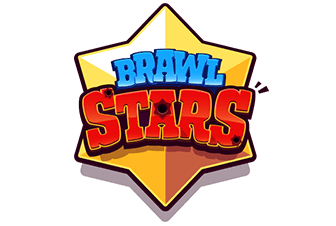 Use your skeleton barrel to distract any air targeting troops, dp to splash on multiple enemy supporting troops, and bait cards to clean up. If needed you can miner any remaining troops. Hog Cycle: This is pretty difficult to go against. You will have to switch off using the pekka and dp on defense since they outcycle you. If you pekka on the hog be sure to play the pekka right in the way of the hog. If you do this properly and quick enough the hog won’t touch your tower. When you don’t have pekka and you think they will hog, play a dp in the back so he can get a charge hit on the hog. Offensively you want all enemy troops targeting your pekka and the princess + dp killing the building. Then the skeleton barrel should target the tower and before if drops miner on the musketeer (whatever glass cannon they have). Lavaloon: The hardest matchup. When they play lava hound push same lane and try to bait out fireball/arrows. If you bait it out you should play your princess opposite lane but close enough to shoot the lavahound. If they fireball/arrow that (since they probably will have two spells) use bats on the lavahound. When the pups spawn zap them and play goblin gang to clean up the pups and loon. During double elixir I would just push the same lane with pekka, dp, and miner. Since they will overwhelm you, you should stack princesses but in a way that they can’t kill all of them with a spell. Honestly don’t be upset if you lose against lavaloon, the main way to win is to three crown them before they three crown you. Loon Cycle: Fairly annoying but not impossible. Princess ahead of time, and if they miner play goblin gang. When they go miner (or lumberjack) balloon push dp/goblin gang on the miner and bats princess on the loon. If they also have a executioner you should skeleton barrel to distract it or miner onto it. Elite Barbs: THE MOST FUN MATCHUP! Jk. When they elite barbs for the first time you should draw it to the middle with a goblin gang. Then if they zap it, miner or dp a little bit lower so they get drawn again. Once you know they have e-barbs save your pekka and never overcommit. Make sure that if you don’t have enough to pekka, they don’t have enough to e-barb. For minion hordes princess, zap combo is great. For skarmies use the dp’s charge. If you know they will play e-barbs, and it is double elixir, play dp the lane they will drop them. The charge deals massive damage and if they reset him you can goblin gang. 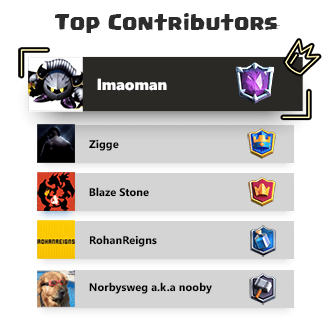 Miner on the wizard once the wizard targets the pekka. Just keep the pressure on and eventually you will take a tower. If you take a tower and it is 1-1, and your push is still alive, let them defend against the three crown while you push really hard on the second crown. Three Musks: Miner+zap on the pump. Only zap if they play goblin gang or minion horde. You should dp or goblin gang the miner, princess+zap the minion horde, dp charge onto the battle ram, and pekka on the weaker tower side. If you know they will three musket in the middle and it is double elixir, miner right where they would along with princess if it is in front of their king tower. Bait: Goblin gang onto their barrel, miner the princess, zap the goblin gang, and push hard. If you think they will goblin barrel, play a dp same lane and as the barrel lands the charge shot of the dp will kill the whole thing. If they start to rocket cycle push really hard. 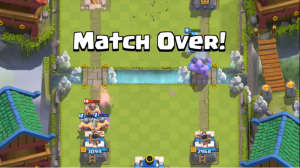 You HAVE to kill the princess with miner and/or zap or else it will wreck your bait push. You really need to use your skeleton barrel and bats well since they will only have their princess. That is why it is important that the princess is not targeted onto your bait cards, or it is dead. 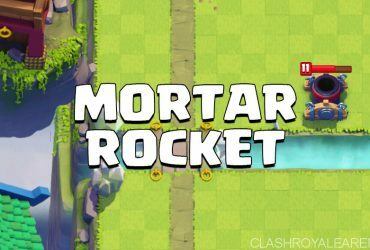 Mortar: Specifically against the mortar you want to tank with dp or pekka in the middle with a skeleton barrel onto the mortar. A pekka is more reliable but the dp forces them to react faster and costs less. If it is mortar bait, counter the mortar like I said and play it like it is just bait. Get princess value. Against mortar hog you want to pekka the hog and dp in the middle. Them rocket cycling = you punishing. Pekka Control: Try to only pekka on defense against their pekka. You want to bait poison with your princess on the opposite tower that they are rushing. Then place bats on the pekka or support troops to bait out zap. Now when they miner you can goblin gang. Against the support troops use dp + zap. You should constantly be pushing with miner and skelly barrels opposite lane, but don’t be afraid to use either on defense. The last match I did I had to keep using miners on the royal ghost. But I won because my opponent arrowed to early and the miner tanked for all the skeletons dropping 2000 hp just like that. Xbow: You need to pekka in the middle to tank against the xbow. If they use a tesla play skeleton barrel and princess+zap remaining troops. Once they log the skelly barrel, (if they do) that is when you can princess and goblin gang. If they overcommit play a dp, skelly barrel, and miner opposite lane so they don’t have time to cycle back to another xbow. Even if they don’t overcommit miner+skelly barrel is a great way to keep pressure so they can’t xbow. You eventually will have to defend but you just defend, rush opposite lane, defend, rush, etc. I say that this is a very high skill cap deck since it requires elixir counting. It is very hard to keep track of everything the whole game, so I just count exactly in the beginning and just keep a general idea of negative or positive elixir trades. This is how I know my opponent overcommitted, and punish. This is how I predict when they will play certain cards. This is a skill that takes a long time to master but will help a lot when playing Clash Royale. If you can count elixir well and keep track of your trades you can play this deck well. Overall this deck is a fun hybrid to play. It also works really well if you have the cards and levels. Thanks for spending the time to read my guide, Heiny. Want to have your own author box? Contact us once you have more than 5 articles posted! Stuck in Arena 8? Try this F2P Mortar Rocket Deck!